How many of your taxonomy terms are being used in searches? As often is the case, an interesting topic was recently posed on the AIRS networker, to which many of the Information and Referral industry professionals added their own thoughts and experiences. The original question was one many can identify with: What database search method works best for your specialists? With a number of options available, such as your own home-built hierarchy of categories and keywords, or the taxonomy as another example, which do you prefer and use? This prompted another related question: With the many thousands of potential taxonomy terms available for assignment and searching, how many terms account for the majority of your searches? Could your top 20 or even top 10 terms searched actually account for a very large number of your overall searches? Meaning that many of the terms assigned to your resource records are rarely if ever being keyed into searches. Looking at all iCarol clients in North America, which represent a substantial portion of 2-1-1’s and I&R’s, yields some interesting results. In addition to tracking the actual Needs using the taxonomy, we also track what was searched as a possible Need (whether it was marked as a Need or not) by the I&R Specialist. …which not surprisingly shows even more consolidation. So on a wider scale, this confirms what you’re seeing locally. It does make me wonder what the cause and effect may be. Are these truly the majority of caller Needs needing consideration during a call/chat/text? Or do we have a bias towards searching for Needs with which we are more familiar? The truth is probably somewhere in the middle, but I’d be keen to hear ideas about changes we could make in training, in our software, and possibly in the taxonomy that could help I&R Specialists familiarize themselves with less-used Needs, as [name omitted] is pointing out in this thread using the medical and dental examples. For this and more great discussion, as always we suggest you look at AIRS membership for networker participation. We welcome your thoughts and input on Neil’s findings above, please leave us a comment below to continue the discussion. We recently added a few cosmetic improvements to resource searching that add clarity to your search process as well as save you some time. First up, the list of automatically suggested terms, whether you use Categories or Taxonomy or are searching by Resource Name, is more clearly defined with lines separating the items while the term you’re hovering over will be highlighted in blue. Next, page numbers of search results appear not just at the top of the results list, but also at the bottom. So if you’re scrolling down to the bottom of your list and then need to go to page 2, you don’t have to scroll back to the top to move to the next page. And finally as you assign the resources as given referrals, the main search page will reflect that with a “Referral made” note at each resource that has already been assigned as a referral. The ‘Referral made’ note will also appear while on the details page of that resource record. These are just a few small tweaks but we hope they’ll make a positive impact on your work flow by saving you some time as you navigate through the referral search and assignment process. Our resource search allows for you to set several parameters and filters to help you find what you need. However, logged in users to iCarol can also use an advanced search system called “Query Language” to even further refine their results. 1. Click Admin Tools in the left hand menu. 2. Click the Resources tab. 3. Scroll down to the “Other settings” section. 4. Click the box next to “Enable Query Language in Resource Searching” to place a check mark there. 5. Click the Save settings button at the top of the page. 2. 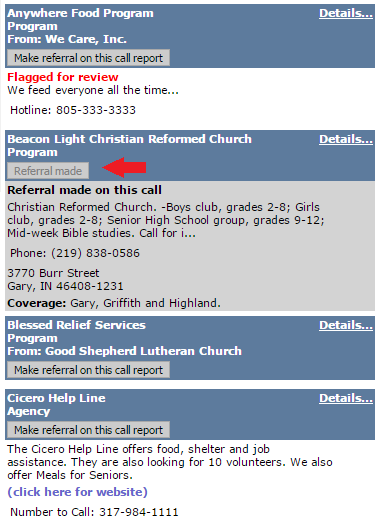 Click on “Resources” from the left menu, or click on “Search resources” from a call report. 4. To refine your search results you will add a specific code to the end of the initial search term. The code consists of a short code (or abbreviation) for a resource field, then an equals sign, followed by the value to search. (eg. Food elg=homeless), then click search. iCarol will then look for records were the original term exists AND where the additional field values exist. Please note, Query Language searches can be added to Taxonomy, Resources and custom Category searches. 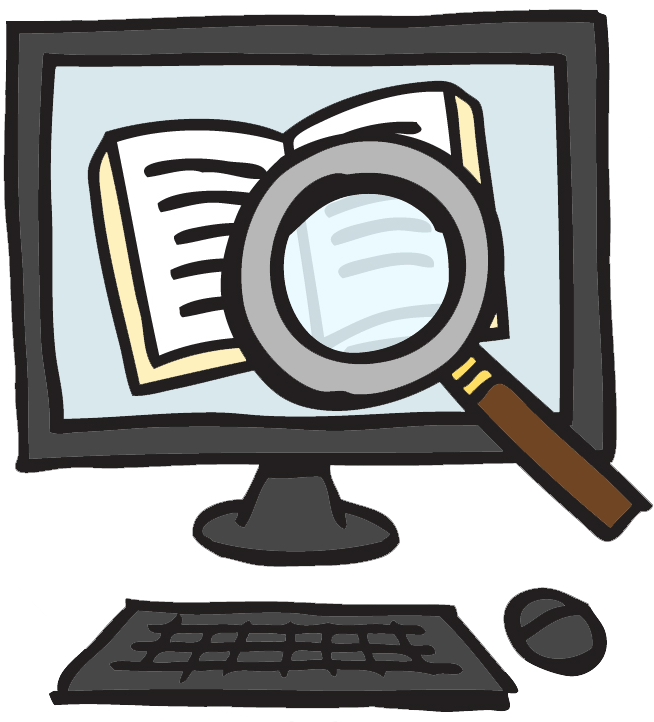 Here are a few examples of searches using Query Language. 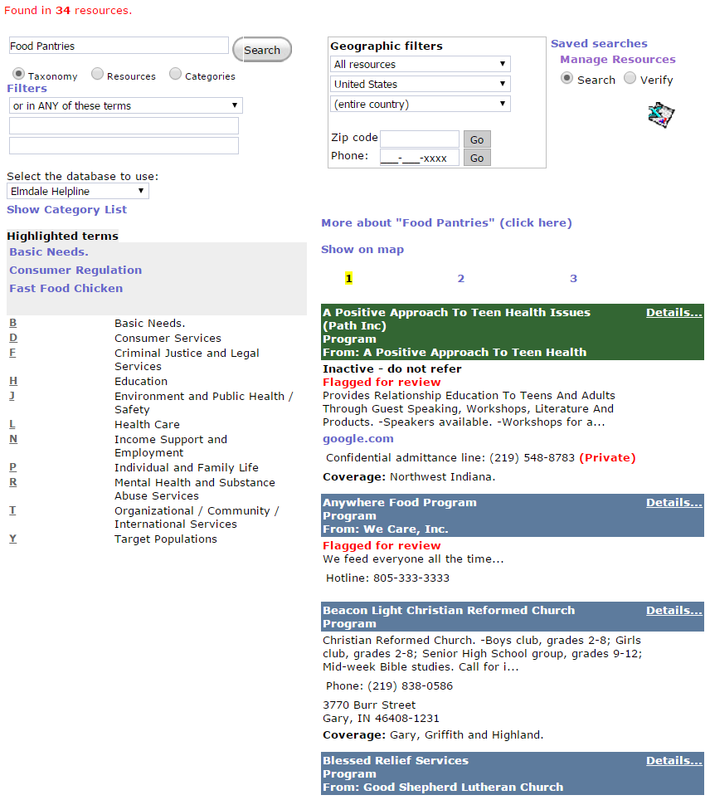 In this next search, the Query Language code des=food is added, to find the resources assigned to the taxonomy term Food Pantries that also have the word “food” in their description. This reduces the total number of search results to 22. 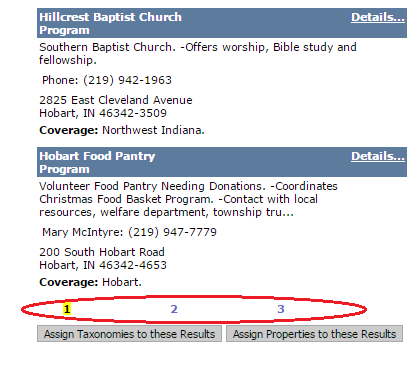 You can see in the first few results where “food” is found in the description of the agency or program. And in this final search, two Query Language search codes are added, des=food and loc=Gary. 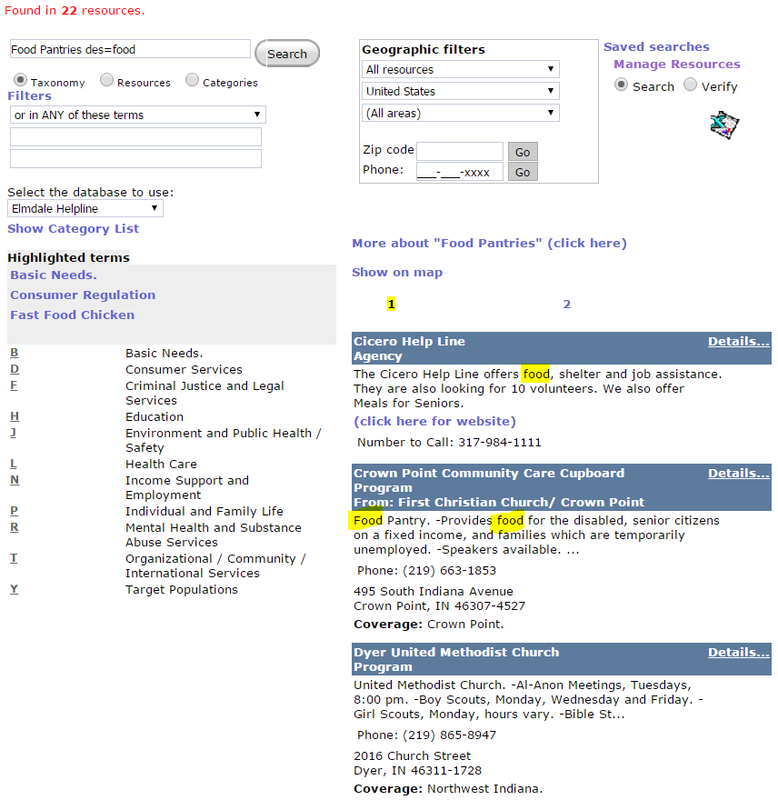 This search will find those resources assigned to the taxonomy term Food Pantries that have the word “food” in their descriptions, and that are also located in Gary. There are now 5 search results. With these advanced codes added to the search area, you can tell iCarol more specifically what criteria you’d like your search results to meet. If you have any questions on how to use this feature, please send a request using the Online Case Submission Tool, found in your Help menu, for support. Have you got a whole lot of resources? Looking to save time searching for them? We’ve got a new option for you. When searching for resources, you may have noticed that every time you change a geographic filter – country, state or province, county, city, etc. 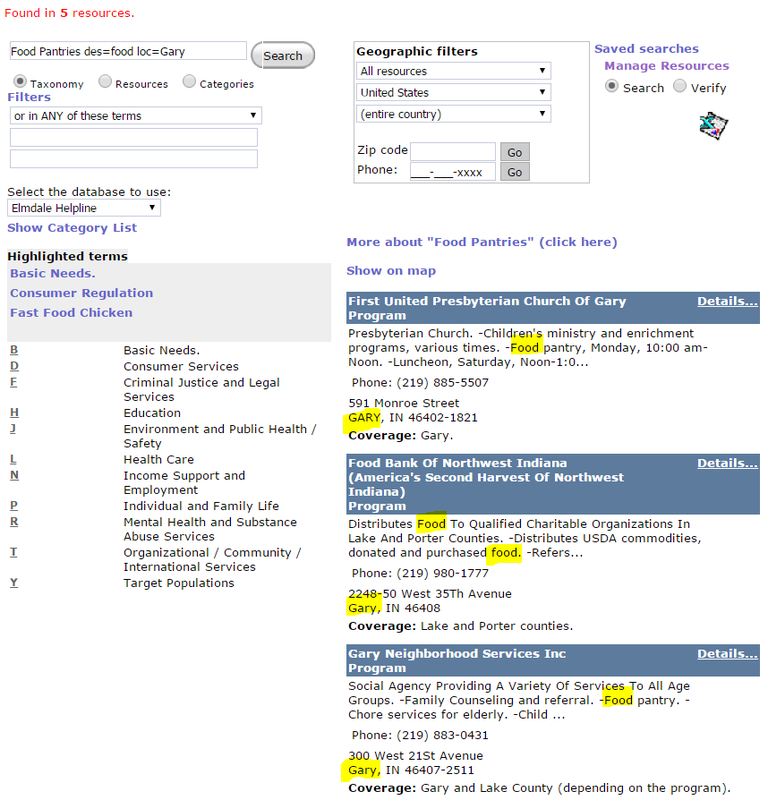 — iCarol runs a new resource search automatically, as soon as you make a new geographic selection. For many of our clients, this is perfect. As you get more and more precise with the geographic location, you narrow down the list of resources. And for clients whose number of resources is not in the many tens of thousands, each search happens near-instantaneously. If this describes your work, no need to read further. But for clients whose number of resources is more than 50,000 or so, that’s not always the case. 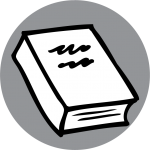 With this volume of resources sometimes each search could take a couple seconds. That may not sound like a lot, but those seconds can add up, and add to your average call time. It’s for these clients that we’ve created a new option – it lets Admins tell iCarol not to automatically search each time a geographic filter is adjusted. Instead, you’d adjust these filters, and then the search is not run until you click the button that says “Search.” In this way, it adds that extra mouse click, but can save you multiple seconds per search. Admins set this option in the Admin Tools section. In the Resources tab, put a checkmark in the box that says “To optimize resource searching performance, disable automatic resource searching.” You can always test it out on a few searches to see if you like it first.